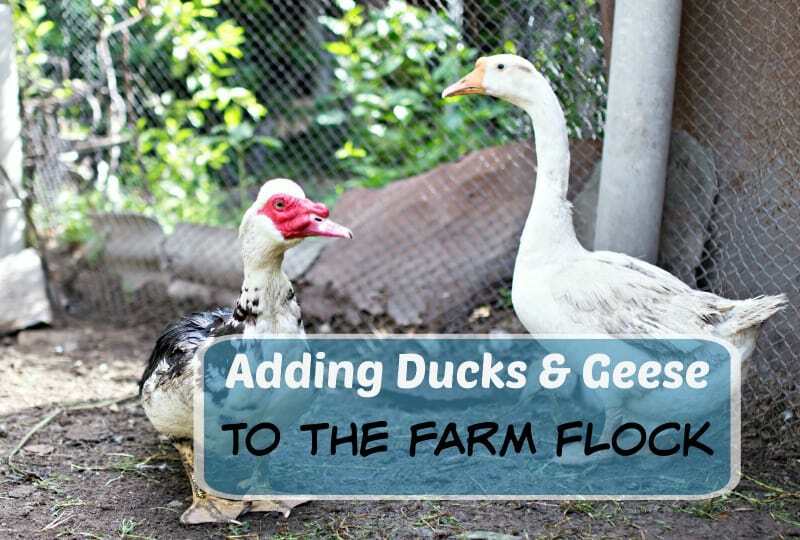 Have you been considering adding geese and ducks to your poultry flock? 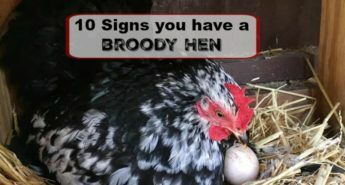 Don’t ever say never, especially when talking about poultry! It all started in college. 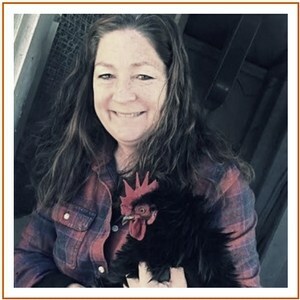 I had to visit many commercial poultry farms as part of the poultry production credits. I found the barns smelly and not very appealing. 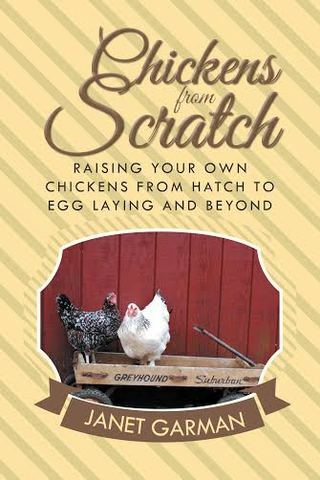 At the time, I said I would never raise chickens! 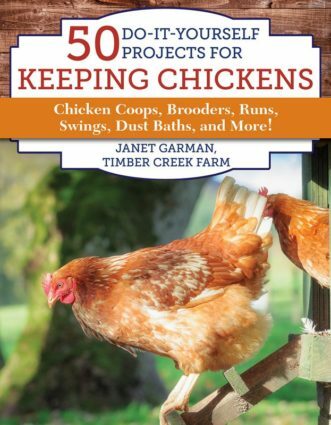 Fast forward a few decades and I not only raise chickens, but we also have guinea fowl, and lots of ducks and I am seriously considering adding geese this summer. Yes, Geese. The large water fowl that I said I would never want either after seeing them chase the neighbors children off the community beach! Here are some reasons that made me change my mind about geese. After quite a few years now of raising chickens and ducks, we are pretty well set up for poultry on our farm. 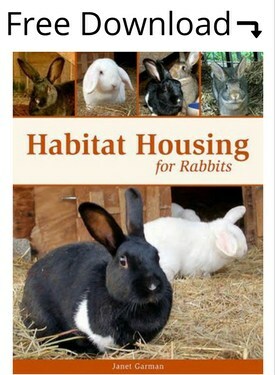 We have learned to build housing for them that is versatile and can be easily separated into two or more living spaces. 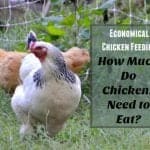 We know what types of food to feed, how to keep plenty of water available at all times and when and how to let the birds free range. Geese will be a great addition to our farm because of their excellent foraging ability. They fatten easily on grass and can be very good guard animals. 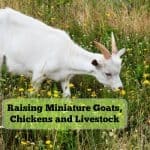 Although geese were traditionally raised for meat, in recent times more and more people have kept a few geese as pets for weed control and protection. Ours will be added to the flock of ducks and chickens as guards and to add additional diversity to our farm. I am looking forward to watching them proudly strut around our farm. 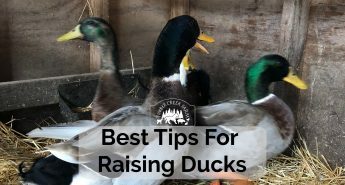 Ducks are also fun to raise. 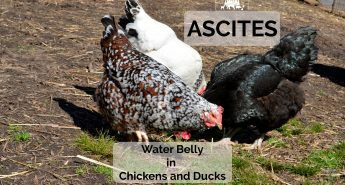 They are great for bug control, particularly slugs and snails which seem to be the duck’s favorite! 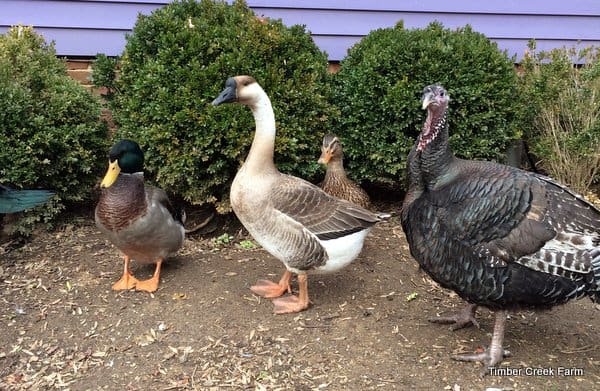 While not as aggressive as geese on the protection level, ducks will create noise if upset and this acts as an alert. The duck’s eggs are sought after by many people. 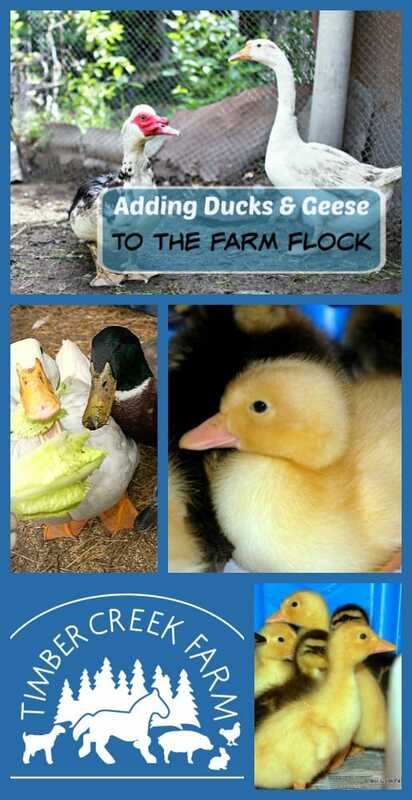 When adding geese and ducks to your flock you will find some friends seeking you out for duck eggs. Some people who cannot tolerate chicken eggs, can comfortably eat duck eggs. Others just enjoy the somewhat stronger eggier flavor provided by duck eggs. I prefer duck eggs for baking because the slightly higher fat content adds a little more richness to the batter. Is a Pond Necessary when Adding Geese and Ducks? 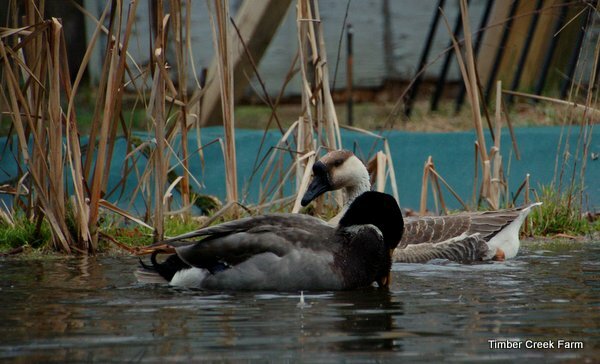 Water is a consideration when adding geese and ducks, but it is possible to raise both successfully without having a large pond or body of water nearby. Many people will pick up one or two plastic children’s wading pools and keep these filled with water. 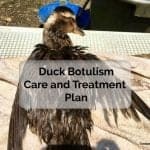 The pools need to be dumped out and refilled daily but they are a fairly inexpensive way to provide plenty of water for the water fowl. 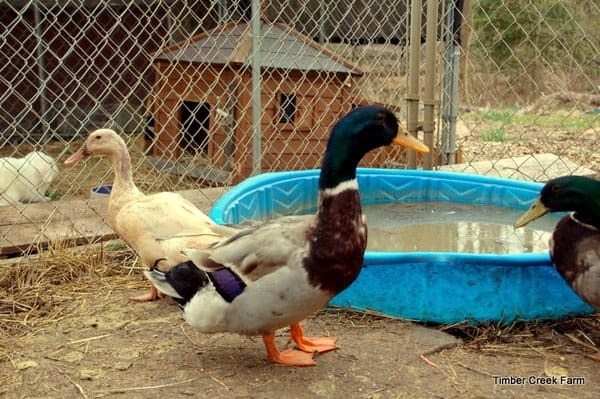 In addition, we provide a bowl of water near the bowl of food because ducks like to eat and drink at the same time. The best food to use for treats is fresh greens. We use torn up lettuce leaves, chopped kale, chopped spinach leaves. 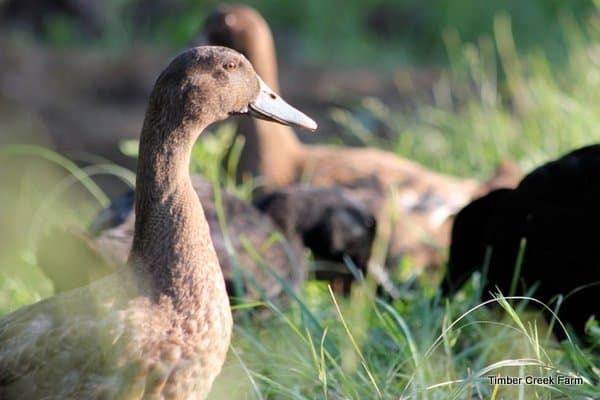 Supplementing with fresh greens in the winter when fresh grass is not available, keeps the ducks and geese happy and healthy. Bread is not a healthy treat or food source for water fowl. 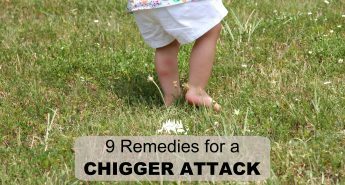 It offers nothing in the way of vitamins and bread lacks most of the nutrients needed for healthy growth and development. In short, feeding the ducks bread can cause malnutrition and be detrimental to the water fowl’s health. 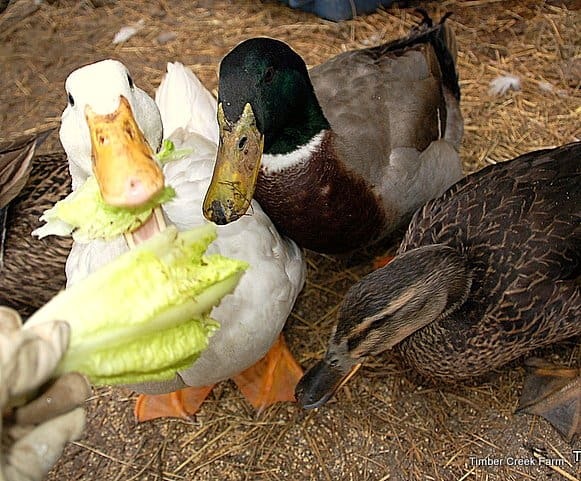 We feed our ducks a commercial waterfowl feed, foraged greens, weeds, and fresh salad greens when available. In addition, provide some sort of grit for proper digestion. 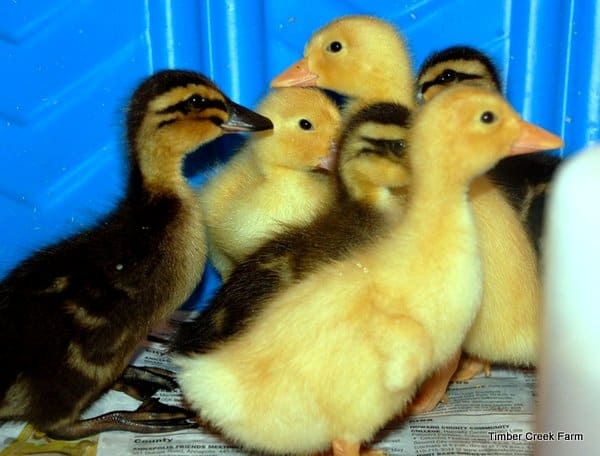 Are you planning on raising ducklings, goslings, and chicks at the same time? Use a non medicated starter ration for a mixed flock. 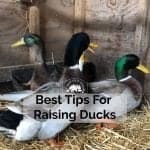 After 4 weeks, switch the water fowl to a formula with a lower protein to prevent issues such as angel wing in the large, fast growing water fowl babies. 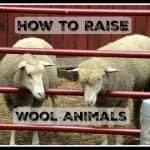 Niacin levels are another concern when bringing up a mixed flock. 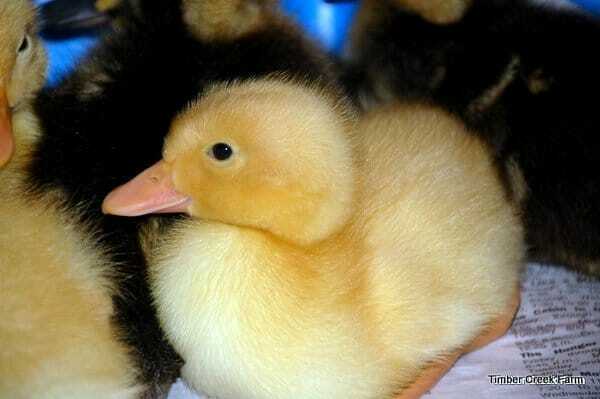 Ducks and geese require a higher niacin level than chicks. The easiest way to supplement niacin is by adding food grade brewers yeast to their food. Sprinkling a tablespoon of brewers yeast on top of the food should adequately supplement the feed to meet the niacin requirement. Additional information on niacin levels for all poultry and water fowl can be found here from Metzer Farms. Additional information on Angel Wing can be found here. UPDATED to Add that we still have not found the right geese at the right time. Also this year I went heavily into raising bantam chicken breeds. 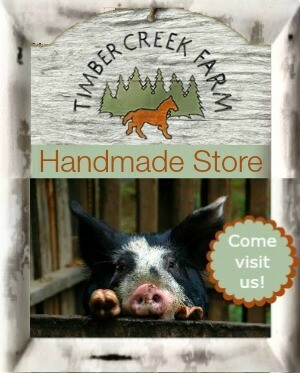 The geese will eventually find their way here to Timber Creek Farm, when the time is right. 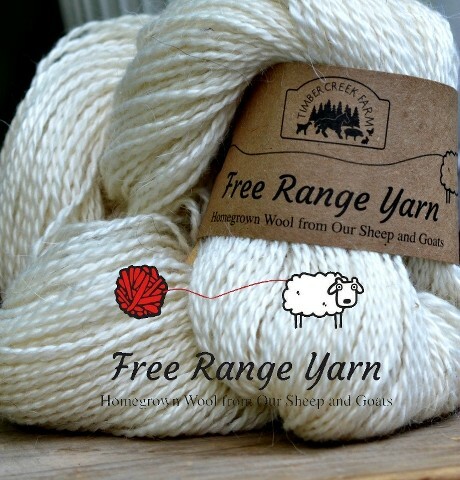 this post was a feature on From the Farm Blog Hop! 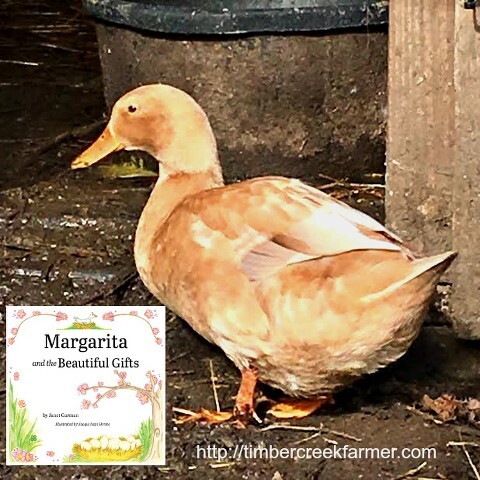 I’m hoping to add ducks to our homestead this spring, so I’m definitely bookmarking your post! We have 4 dogs, 2 are borders & 1 is a Lab.they are loose on the farm most of the time.Do I need to wait until they pass to have ducks? If you can’t train them to not bother or hurt the ducks then it may not work for you without a dedicated fenced run for the ducks and geese. Our dog, naturally learned to leave the ducks alone. Now, when they are out free ranging, he stations himself nearby and guards! We did have to work with him to get to that point. My boys have dogs too and they need to wait until the ducks are back in the pen before being around the farm or they chase the ducks. Adding geese to our flock was the best decision, we love them. Great post! I would LOVE to add some ducks, and maybe some geese to our homestead one day! 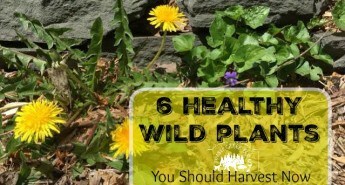 We plan on making a small pond out of our dry creekbed next year, so maybe sometime after we get that finished, I can convince my husband that we NEED to get some. 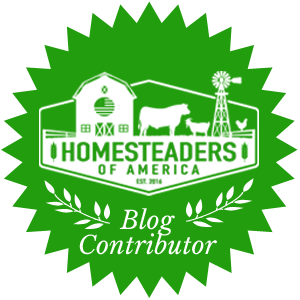 🙂 Thanks for sharing at the Homestead Blog Hop this week! 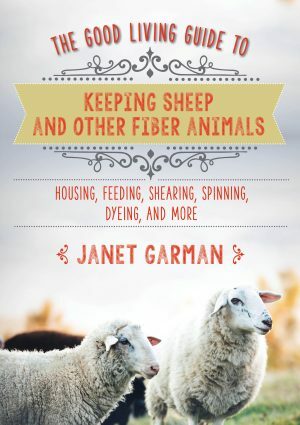 I am considering adding chickens and geese next spring. I am curious. 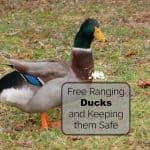 Do you allow your ducks to free range? Where?